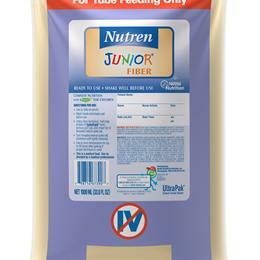 Balanced nutritional formula specifically designed to meet the nutrition needs of children ages 1-10. The protein blend of 50% whey, 50% casein contains more whey than any other intact protein pediatric formula. High whey protein content can improve tolerance, facilitate gastric emptying and support normal growth and development. Can be used as total or supplemental nutrition support for children who are unable to meet their nutrient requirements from regular food.